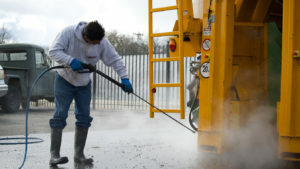 Pressure Cleaning. 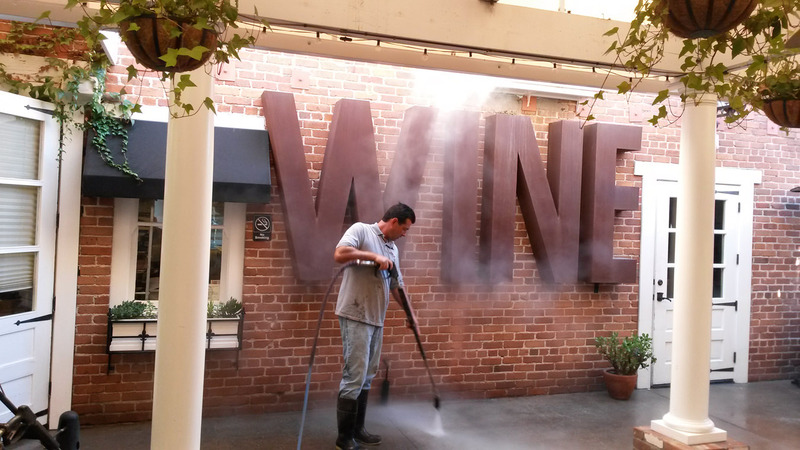 Steam Cleaning. Window Washing. Anywhere in San Luis Obispo County! 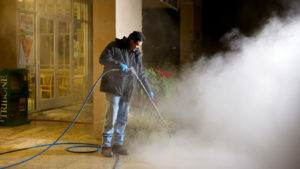 Custom-tailor your pressure washing services in Paso Robles with a professional and reliable choice to suit your needs. Dust, dirt, mud, mold, grime, loose paint never had a more formidable nemesis than Advanced Pressure Washing. Our washing technicians can clean and degrease almost any surface – there’s no job we can’t handle. The latest in equipment combined with more than 10 years of experience puts us at the forefront of the industry. 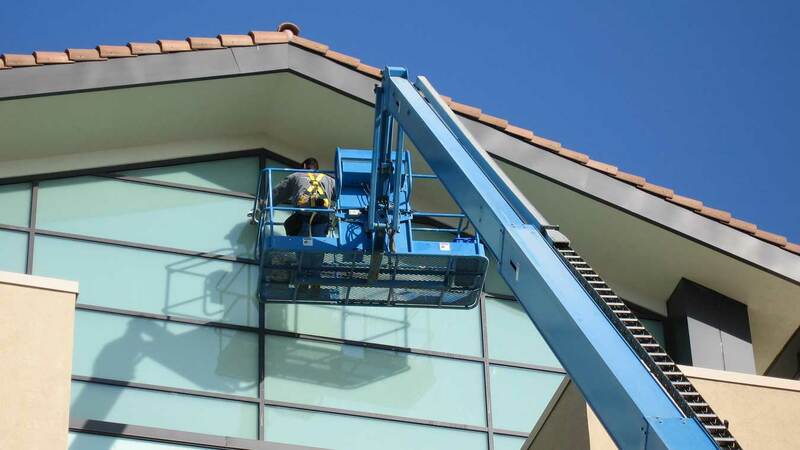 Advanced Pressure Washing offers a full spectrum of residential, commercial and industrial window washing services to clients throughout the Central Coast and San Luis Obispo County, CA area: Paso Robles, Atascadero, Templeton, San Miguel, Pozo, California Valley, Garden Farms, Cholame, Shandon, Creston, Heritage Ranch and beyond. We are focused on bringing high-end, quality window cleaning services to our customers with a 100 percent satisfaction guarantee. Advanced Pressure Washing takes pride in offering exterior property low- and high-pressure washing and cleaning for residential, commercial and industrial clientele. 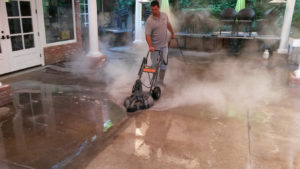 As a Central Coast leader in pressure washing services, we make your house look like new and customize our pressure washing to meet the unique needs of our customers. Our pressure washer is designed to work on a variety of surfaces and in many environments. From cleaning vinyl and fabric awnings to tents, tarps, canopies, banners or flags, Advanced Pressure Washing works to ensure that our professional awning cleaning services are safe, effective, thorough and professional. 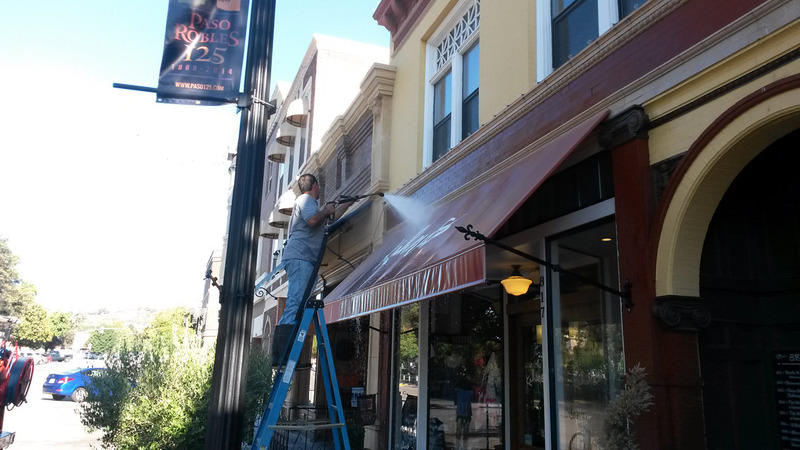 We specialize in personalized service and are proud to be an industry leader for commercial awning cleaning and weatherization in the San Luis Obispo County, CA area. Representing the industry’s finest in equipment and solutions, our steam cleaning services get to the root of stains, dirt and wear-and-tear in domestic, commercial and industrial settings for floor cleaning and household dirt removal without the use of harmful chemicals. We are pleased to show home and business owners how to maintain and clean rooftop solar projects by offering a professionally run team of qualified solar panel cleaning experts to take the tough work out of cleaning solar panels. Realize optimum solar panel performance by keeping your solar panels spotless. 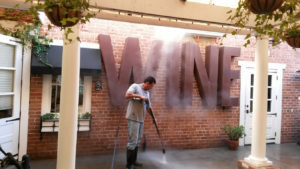 Water, commercial winery, brewery, and industrial tanks large and small will benefit from regular, thorough interior and exterior cleaning. Extend the life and service of your tanks when you give us a call to clean your tanks and related equipment. For any residential or commercial location!